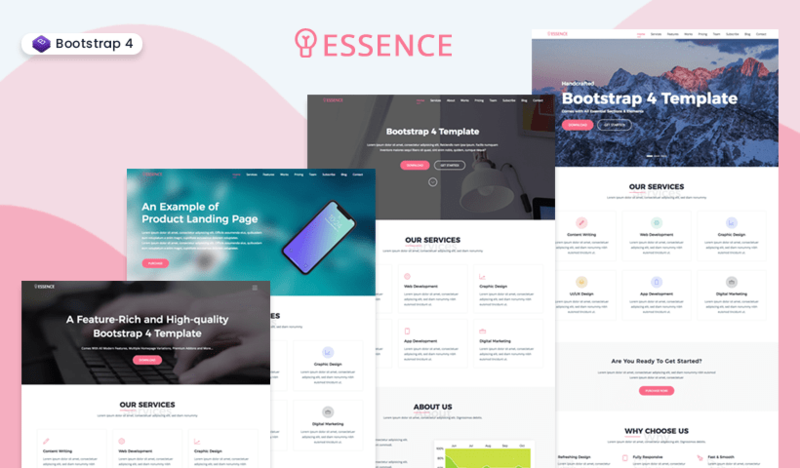 Essence is Free and Premium Multi-Purpose Bootstrap 4 One Page Website Template, It is a super professional, high-quality and multipurpose template that has been crafted for Landing Pages, Apps, and Business Websites. It comes packed with all the salient components sections and features to get any sort of landing page, or complete one-page website started. This template is again built with the latest and cutting-edge technologies like SASS, Bootstrap 4 and HTML5. Its code is optimized, well-documented and block structure. This specific feature allows you to customize your website without any visible effort. 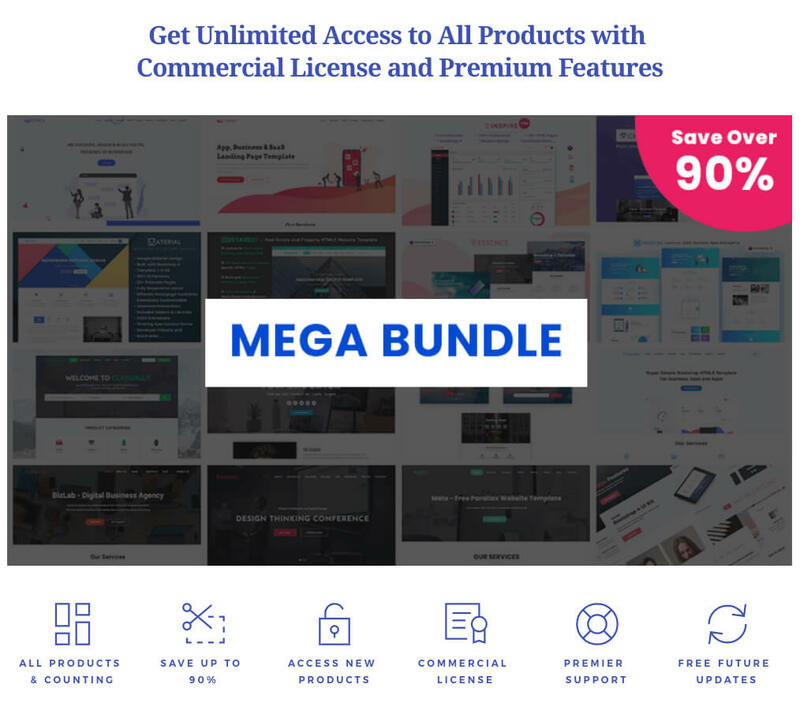 It also comes with four distinct variations of homepage such as slider version, product landing page, parallax version and video background version. Let’s check out the highlights of this cutting-edge multipurpose template from Essence!